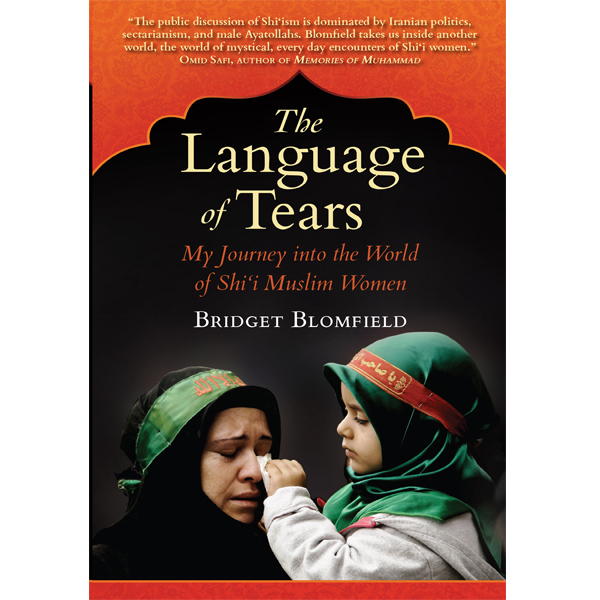 The Language of Tears tells Blomfield’s five-year relationship with Shi’a Muslim women in Southern California. Wearing traditional clothing and covering her hair, she details her intimate participation with the women as they practice their religious rituals. The Language of Tears details the engaging five-year experience of a gifted American scholar throughout her journey teaching and participating in a Shi’a Muslim community in Southern California. As a teacher in a Muslim school, she participates in the lives of Iranian, Iraqi and Pakistani women as they perform their religious rituals. As she participates in the rituals, joining women in their tearful laments, she gains trust and respect. Initially thought to be an FBI informant, Blomfield builds trust with her authentic curiosity as she participates in every aspect of the lives of these immigrants and refugees, writing the stories that they share with her. She begins to understand gender segregation and how as women, they have authority and agency gained through their religious duties, careers, and as wives and mothers. Only a few weeks after she starts teaching, the fifth-grade girls invite her to attend a religious ritual after school where she is taught how to wash and pray. They tell her that if she cries for the death of the Prophet Muhammad’s family her tears will be recorded in heaven. Sitting, covered in black, she starts to engage in the ritual and is transported into another world. Hearing the laments of the women, she too starts to weep, building affection between her and the women in the community. She is invited into the women’s homes where they share their hopes, dreams and fears with her as she dances at weddings, baby showers and a Mother’s Day celebration ‘women’s only’ swim party. She is deeply honored when she is invited to ritually wash and bury an old Iranian woman’s body, erupting a love for her own mother and her imminent death. The author grows to love their music, food and customs. Her story culminates as she travels to Iran for a surreal religious pilgrimage where she becomes Shi’a “in her heart,” witnessing their joys and sorrows as well as her own, becoming more fully human. Like the Shi’a women, she vows to stand forever against oppression and to be an activist for justice. “Dr. Blomfield provides an insider’s perspective of the symbols enacted and the rituals undertaken by Pakistani Shi’is both in their mosques and homes in America. As such, she is the first scholar to have entered and described the sacred space and mourning rituals of Pakistani Shi’i women in America. It should be mentioned that very few Western scholars have had access to these quarters. I find her discussion and analysis on rituals and their symbolic effects to be incisive and informative.” – Professor Liyakat Takim, McMaster University, Sharjah Chair in Global Islam.